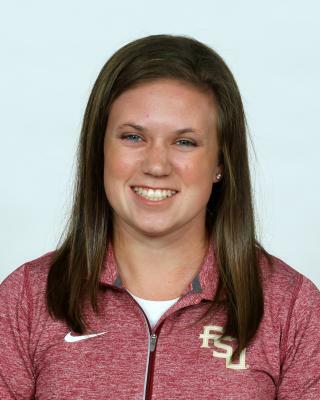 2012: Competed in five meets last season, including the ACC Championship, where she placed 28th overall – the fourth freshman finisher in the field – and was FSU’s No. 8 runner in a season-best 6k-time (21:18.8)…placed third overall (17:38.1) at the Royal Cross Country Challenge…turned in a 5k cross country personal-best at Notre Dame Invitational (17:34.5). 2013: Competed in five outdoor meets after sitting out the indoor season as a redshirt…opened season with a personal-best in the 5000m at the Florida Relays (17:23.57)…placed 15th at the ACC Championships in her first competitive 10,000 (36:29.71). Tallahassee native who helped Chiles High to three consecutive 3A state cross country championships…won the 2009 3A individual state cross country title as a sophomore…a four-time All-State performer in cross country with four top-five finishes…also four-time All-State selection on the track with four podium finishes in the 3200, two in the 1600 and one in the 4×800…plans to major in sport management…born April 25, 1994.